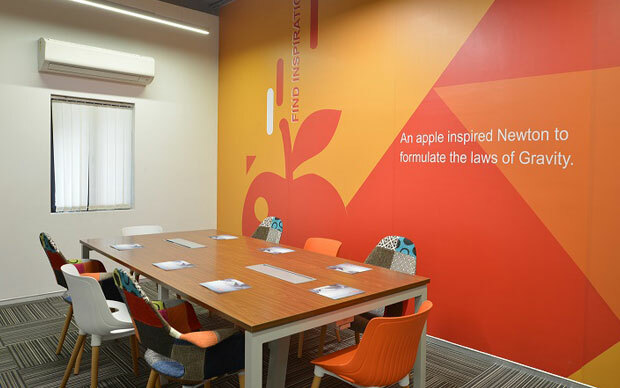 Sudden spurt in the number of start-ups has resulted into massive number of entrepreneurs travelling to different geographies across the country with dire need for meeting places offering utmost convenience of creative seating arrangements, seamless internet connection and refreshment facility nearby airports. The challenge that more start-ups face is that in early days they don’t have much money to spend on infrastructure. They want to spend money on technology or hiring best talent but the infrastructure is where nobody wants to spend money. Thus co-working spaces, provisioned out of commercial places and plush hotels, are emerging out to be the most preferred destinations for the growing number of start-up and SME entrepreneurs over the conventional choice of cafés, which are also continuing to be the long preferred destinations ideating and encouraging business ideas. 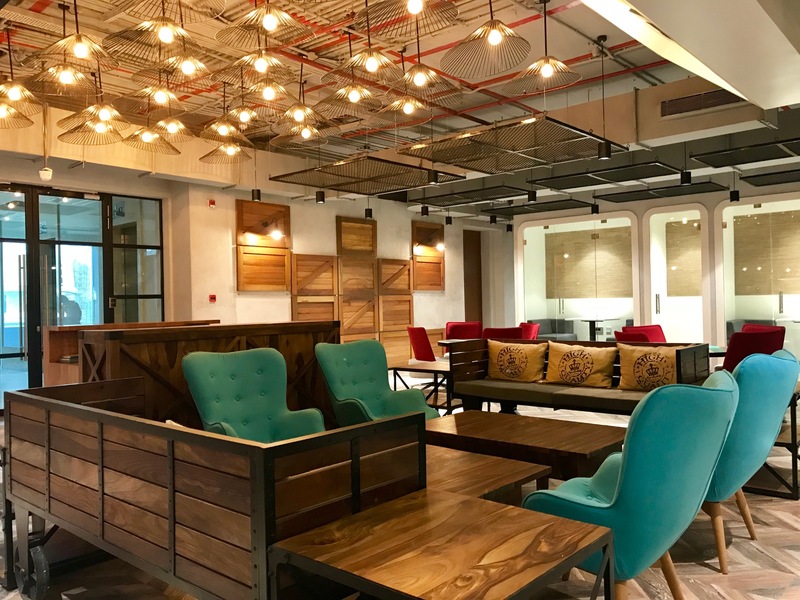 Capitalizing on the opportunity, Amit Ramani who launched his start-up Awfis in 2015 is in creating widest number of co-working seats across the country. “Our goal is to have 200,000 seats in the next 24 to 36months. The clear goal is we should have Awfis location within 10 minute radius of airports in 7 to 10 large cities across India. With co-working office space one can truly give up his office and be able to use any co-working space nearby airport. Today my work really gets done at the convenient location. I could in one place in this moment and the other place in next hour and if my fix office is somewhere far then I am stuck between the fact that I have to go back to the office and work”, said Amit Ramani, Founder & CEO, Awfis. “I was in US for 12 years, did my masters there and one of my teachers in Cornell University were essentially advising people on researching on how people become most productive in their physical space, what kind of spaces work for people, at what age bracket, what gender types. Essentially it was studying peoples work and behavior pattern and that’s what we use to do in 2001. Started from there we use to advise large corporate on how work really gets done, how do you create infrastructure that reduces your real estate footprint but still makes your employees the most productive. That is the background of this idea”, said determined Co-founder. Awfis has created a platform that allows one to book a seat or a meeting room, open seat or closed seat cabin on truly adjacent time basis. It offers around 1500 seats across seven centers in Delhi, Mumbai and Bangalore. It provides space for an hour to 11 months, from one seat to multiple numbers of seats across various locations, starting from Rs 300 per to Rs 13,000 accordingly. It has started servicing to SME’s, start-ups and freelancers among others from small, medium, individual local entrepreneurs (SMILE) community. For entrepreneurs the start-ups has established multiple partnerships for services ranging from financial to insurance to healthcare to food to stationary to dryclean. It’s 25 plus partners include Yes Bank Fasoos, Kaya Clinic, Apollo Munich Dental, Lemon Tree, Trident and Beer Café among others. Hence it’s planning to increase the number of partners to 200 plus in six months. “Anything that a start-up or any SME requires from a service perspective is available in our centre and our community manager’s soul aim in life is to take care of needs for our start-up or SME community”, said Amit Ramani. Started with the $3 million bootstrap funding support of its partners the start-up has secured funding upto about $10 mn between its partners. At operating level its centers have 45 percent occupancy rate and these centers breakeven probably in six month on operating level. Its centers older than 90 days are 100 percent full. Currently it has earned around 500 plus clients. Our goal is to be the number one player in India and in the world in the next three to five years. With that goal and ambition clearly we would walk to raise the fund in the market. In the next tranche we are looking to raise $30 to $50 mn from VCs in six to nine months. Fortunately co-working industry is not much regulated space like telecom or banking. There are regulations of by-laws signages, shops and establishment, food and beverages and these laws are not difficult to comply with for the newly venturing entrepreneurs. But finding the right commercial place or hotels at right location is certainly a challenge. Awfis is aiming to have around 8 plus centers in the next six months and by the end of March 2016 it would have around 4000 seats across Delhi, Mumbai and Bangalore. By the end of December this year it is targeting to have about 10,000 seats across Pune, Hyederabad, Ahmedabad and Chennai in addition to Delhi, Mumbai and Bangalore. 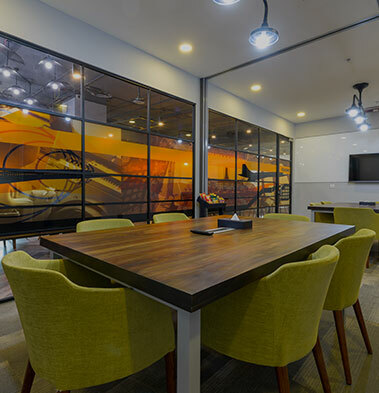 Though still at nascent stage co-working space industry has a promising future ahead with the flourishing entrepreneurship in the country demanding for the convenient mobile working places nearby airports, hotels and commercial meeting places.